Serving as a DrawBridge Facilitator Creates Joy for Everyone! Susan Peterson is in the enviable position of witnessing the positive impact of her work. 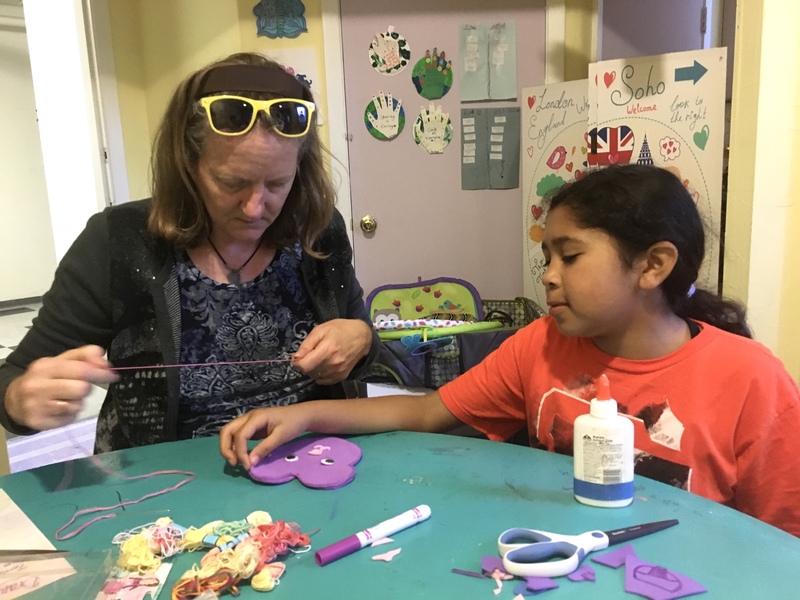 As a Facilitator for three weekly DrawBridge groups (most Facilitators have one group), Susan sees firsthand the value of the time she spends with kids. As an artist in residence in the public schools, Susan notes that many elementary school-aged kids have very limited experience with art making. Susan says that site managers where she brings the DrawBridge program have told her that teachers report that the kids are calmer the day after they have had a DrawBridge group. Susan also notes that as a result of regular Drawbridge attendance, children soon have a greater attention span. Many have improved social skills and are better able to interact with one another. She also sees how generous the children can be, once they feel comfortable in the group. After more than a decade of facilitating for DrawBridge, usually with more than one group, Susan says it is her way of being a part of the solution, doing something positive for one of the most critical societal issues – homelessness. If you are interested in volunteering or facilitating a DrawBridge art group, please visit http://www.drawbridge.org/volunteer/ or contact Beth@drawbridge.org.